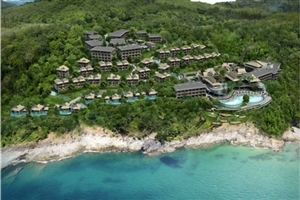 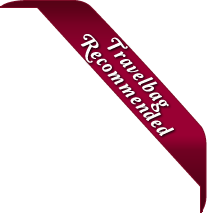 A marvellous five-star resort perched on a cliff-edge overlooking the Andaman Sea Pullman Phuket Arcadia Naithon Beach will fulfil and exceed your Thailand holiday expectations. 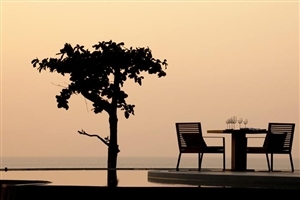 Spend your days gazing across a sparkling ocean from your magnificent cliff-top vantage point as you sip exotic cocktails and relax in unrivalled luxury. 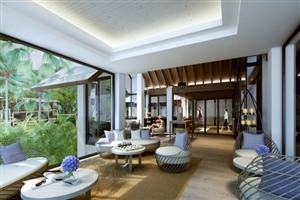 Pullman Phuket Arcadia Naithon Beach comprises of elegantly appointed guestrooms and flagship Pool Villas, making it ideal for those travelling to Phuket on a romantic holiday with a loved one or with family. 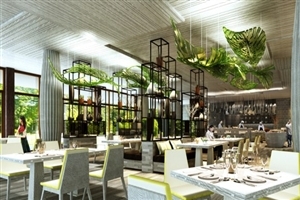 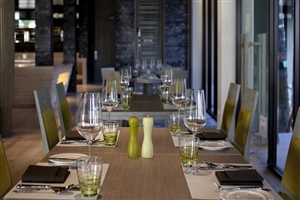 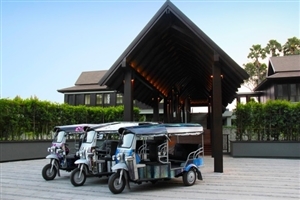 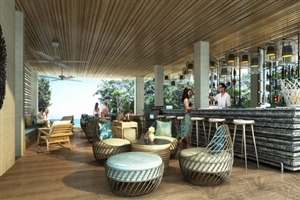 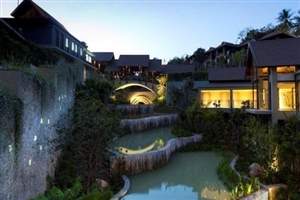 Additionally, Pullman Phuket Arcadia Naithon Beach impresses with its excellent facilities, including six restaurants and bars, an infinity swimming pool, a fitness centre and an indulgent spa. 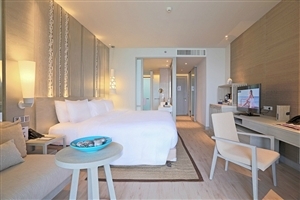 The Deluxe rooms at Pullman Phuket Arcadia Naithon Beach feature contemporary decor and smart touches, plus an array of excellent amenities, including Wi-Fi Internet, an iPod docking station and a rain shower. 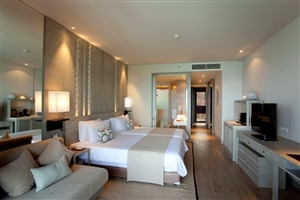 The Grand Deluxe rooms at Pullman Phuket Arcadia Naithon Beach offers 55sqm of accommodation space and can accommodate up to two adults. 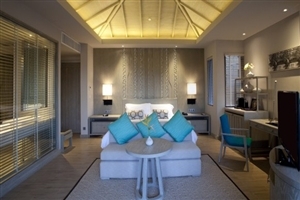 The Family Deluxe rooms at Pullman Phuket Arcadia Naithon Beach include an oversized alcove area, ideal for accommodating children. 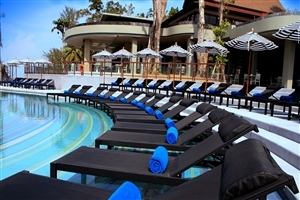 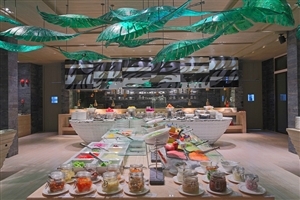 In addition, the Family Deluxe is situated close to the Kids’ swimming pool. 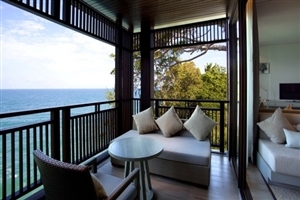 The Ocean rooms at Pullman Phuket Arcadia Naithon Beach feature a balcony with breathtaking views to be enjoyed across the Andaman Sea. 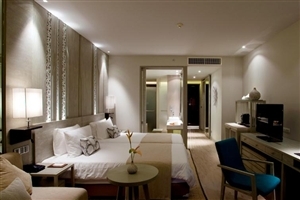 The room accommodates up to two adults. 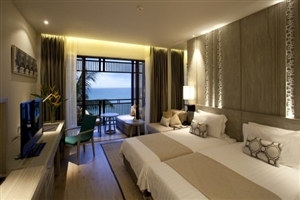 The Grand Ocean rooms at Pullman Phuket Arcadia Naithon Beach offers 55sqm of accommodation space and enjoys a privileged setting overlooking the Andaman Sea. 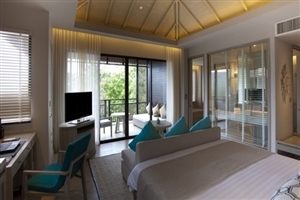 The One Bedroom Pool Villa at Pullman Phuket Arcadia Naithon Beach is set on the cliff edge for spectacular views to be enjoyed across the Andaman Sea. 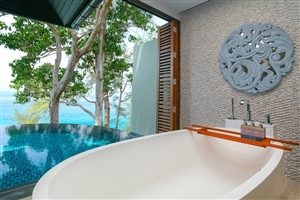 Features include an outdoor sala, an infinity pool and boutique-inspired toiletries. 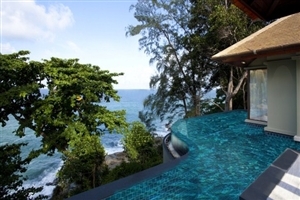 The Two Bedroom Pool Villa at Pullman Phuket Arcadia Naithon Beach is set on the cliff edge for spectacular views to be enjoyed across the Andaman Sea. 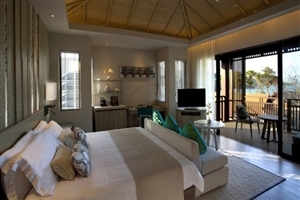 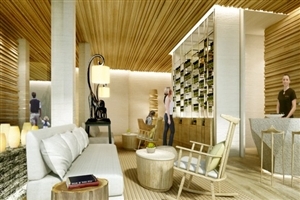 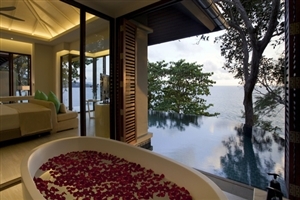 Features include two bedrooms, a lavish living area, an outdoor sala, an infinity pool and boutique-inspired toiletries.